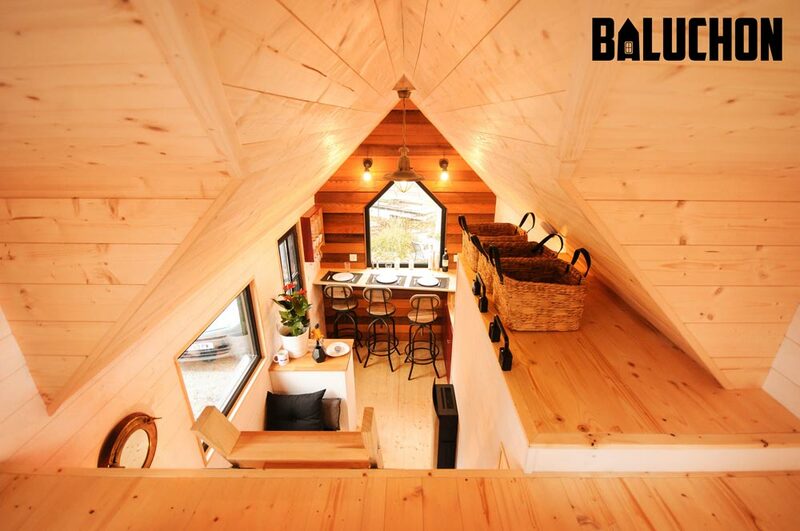 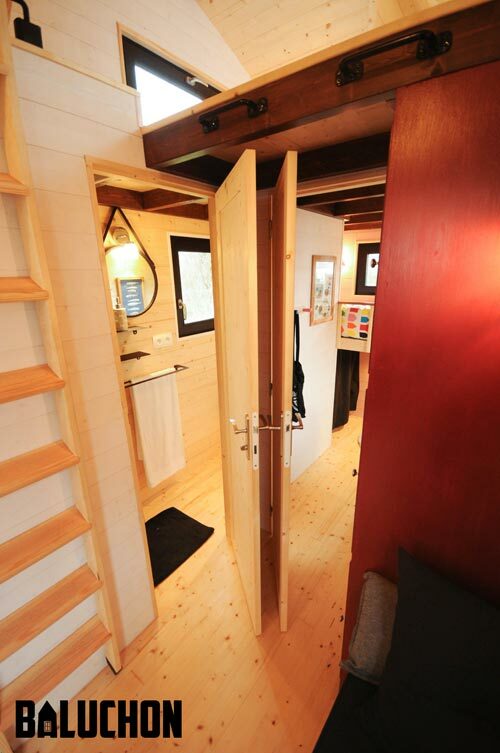 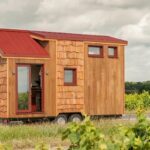 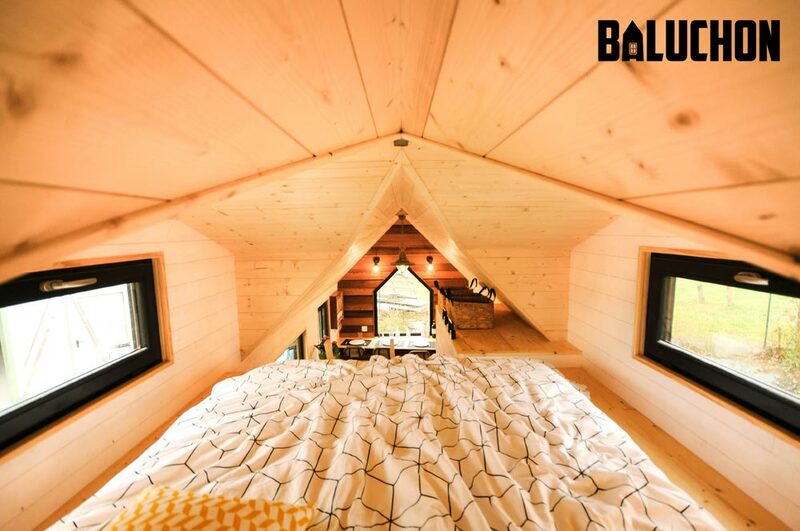 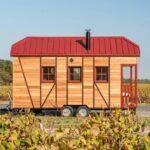 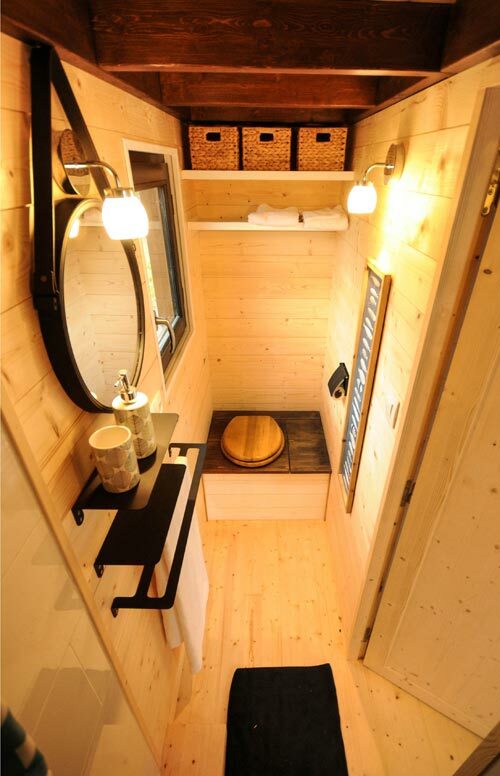 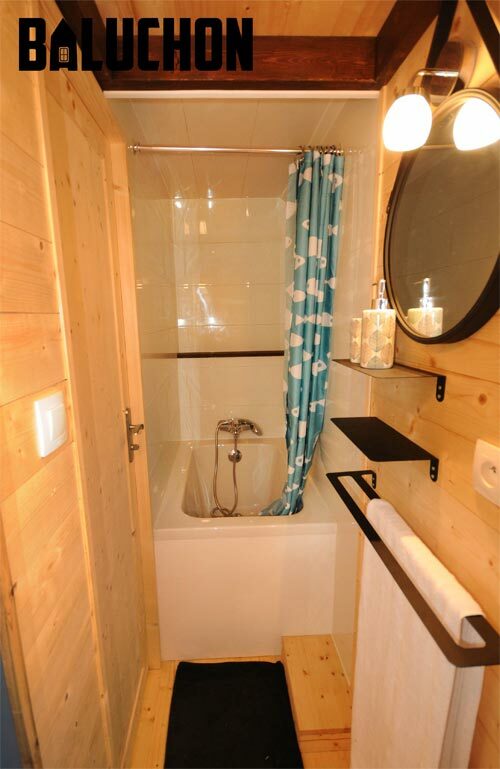 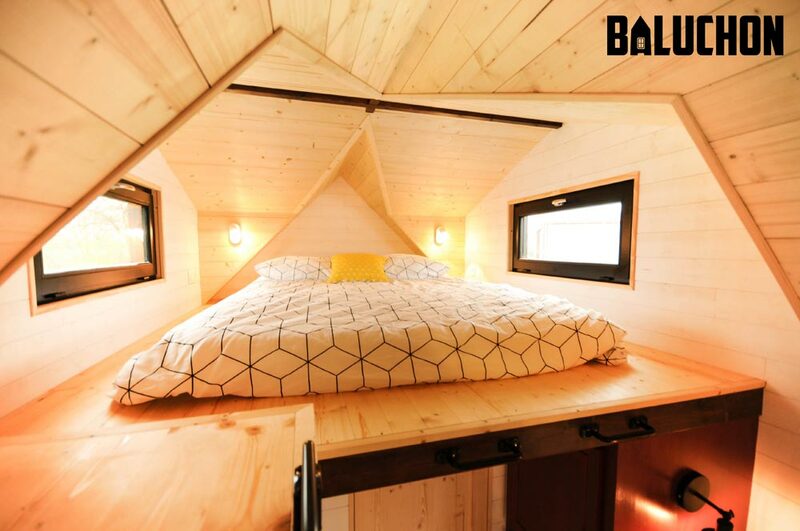 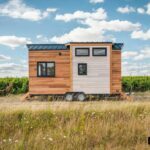 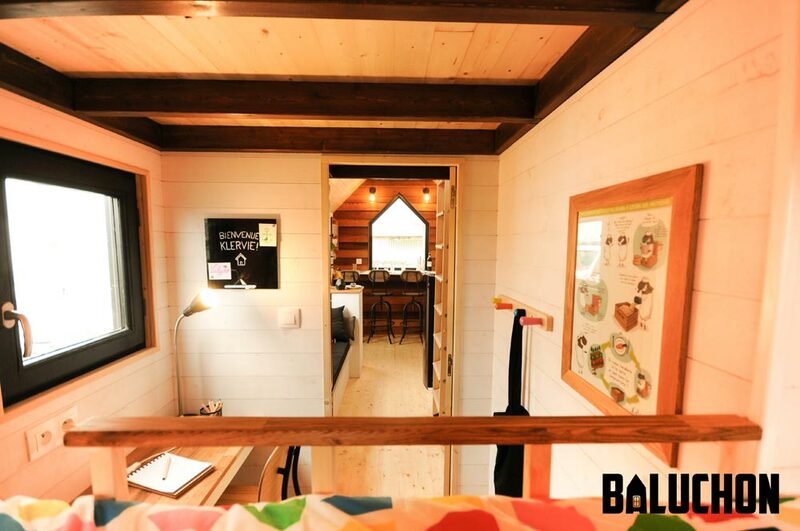 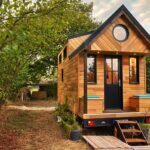 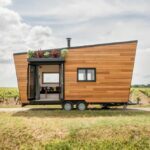 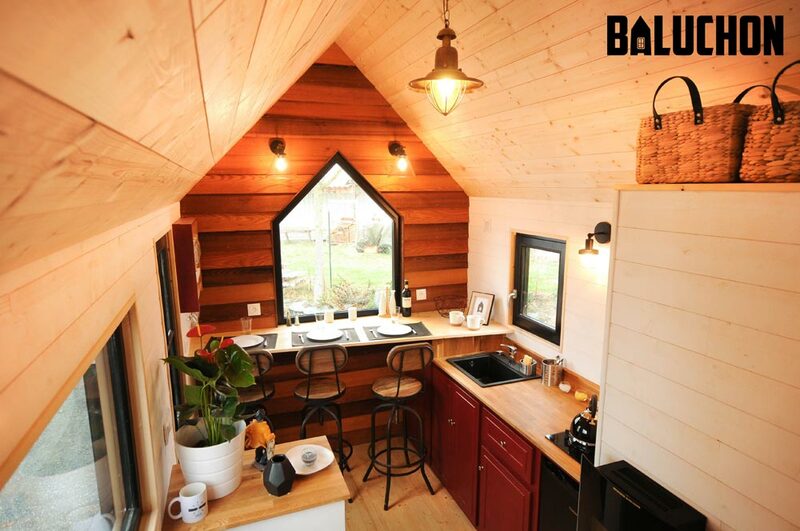 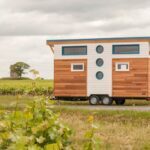 The Calypso is a traditional tiny house built by Baluchon in Nantes, France. 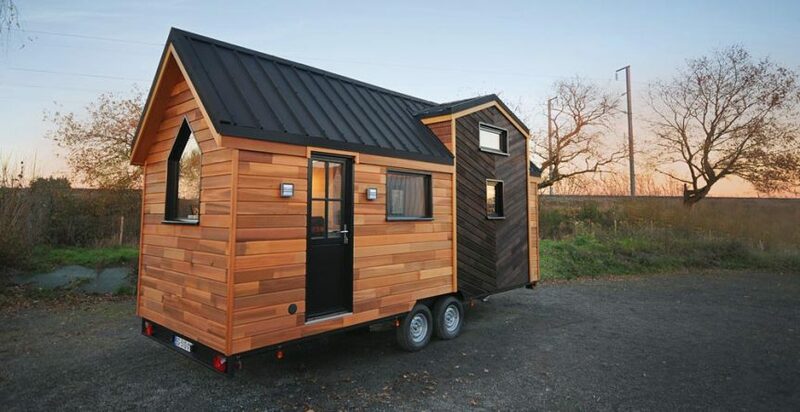 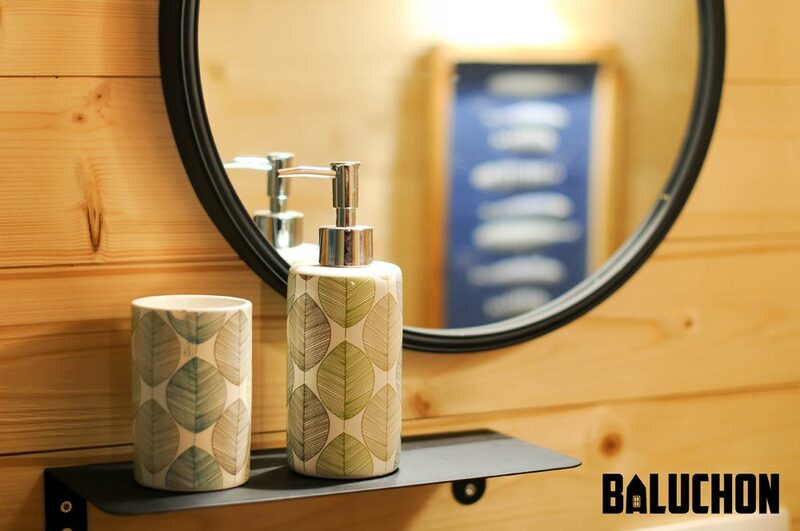 The cedar exterior has a Yakisugi highlight, giving it a distinctive design. 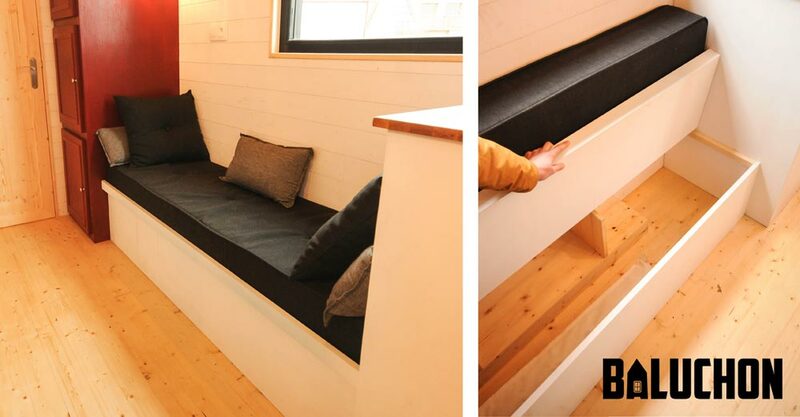 Inside, a large table and stools seat three people, a storage bench provides additional seating, and a red cedar accent wall in the kitchen contrasts beautifully with the white pine used around the rest of the house. 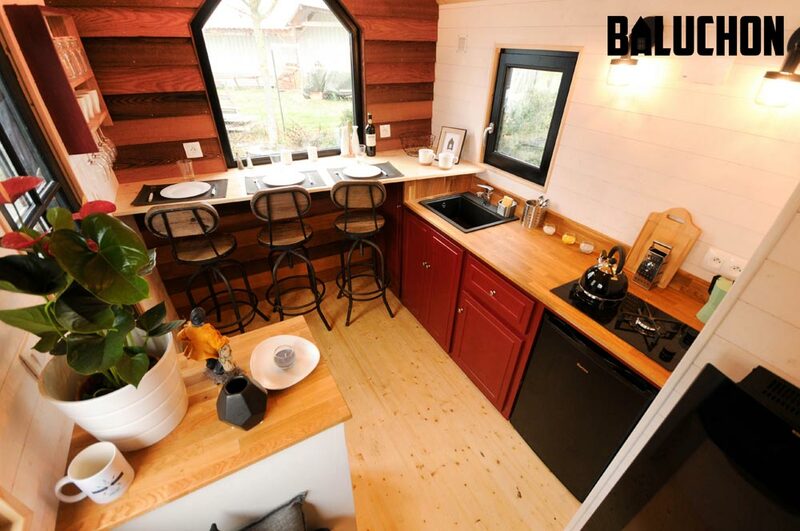 The kitchen also includes an oak counter, two burner cooktop, and a clay locker for wine. 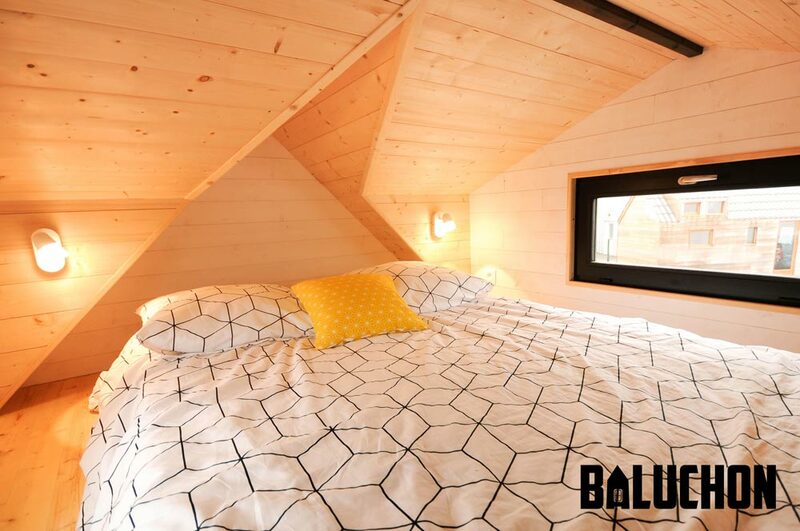 The clients have a 6 year old, so there is a child’s room with a raised bed and two wardrobes underneath the bedroom loft. 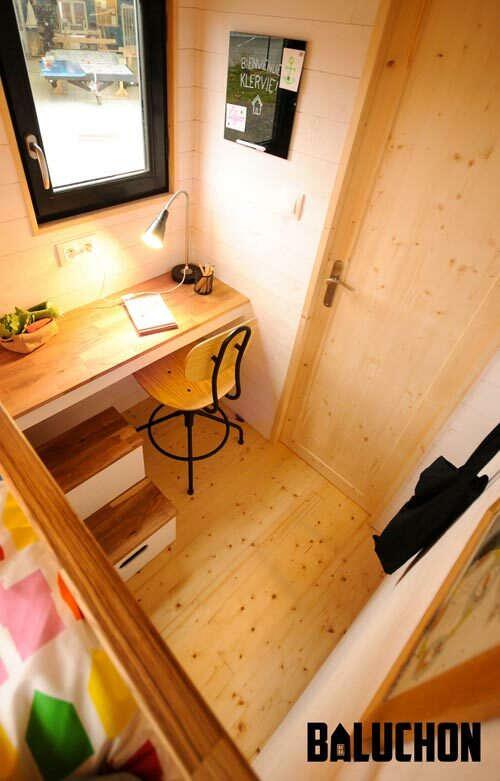 The room also acts as a small office so the child can do her homework. 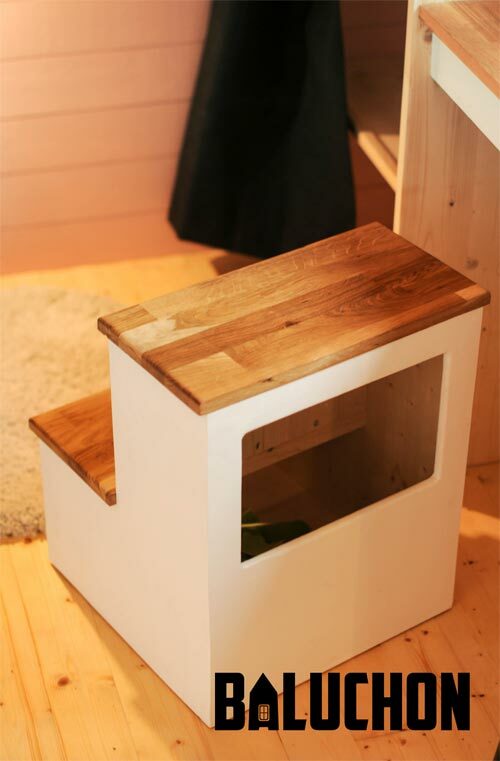 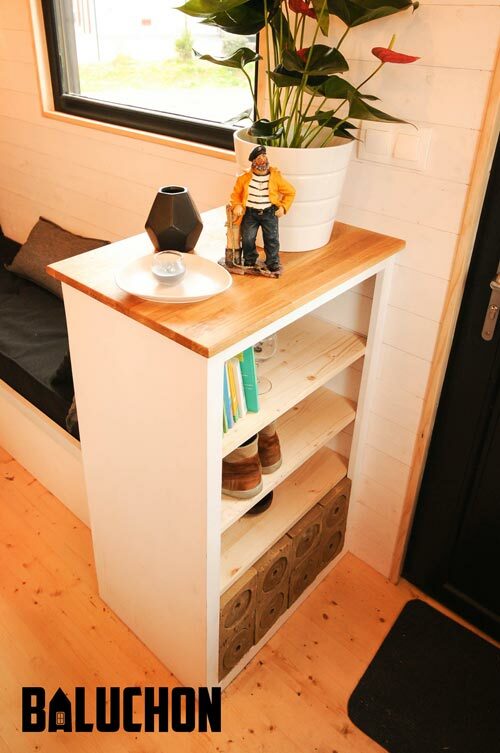 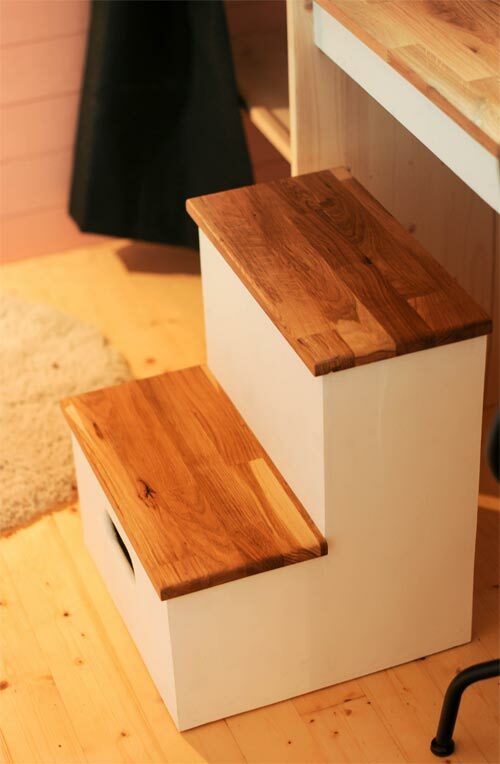 A small movable staircase allows access to the bed and also serves as a toy box.